Lamp oil, coloured tints for oil and oil lamp wicks. How to use Lamps and Pure Refined Lamp Oil. 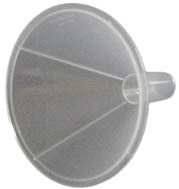 a small plastic funnel which makes it easier. or large a flame. Every now and again if carbon has accumulated on the top trim it slightly. If you find this difficult threading a new wick through its container stiffen it by wrapping celloptape around the top. Make sure you remove the celloptape before you light the lamp! you can mix the colours.